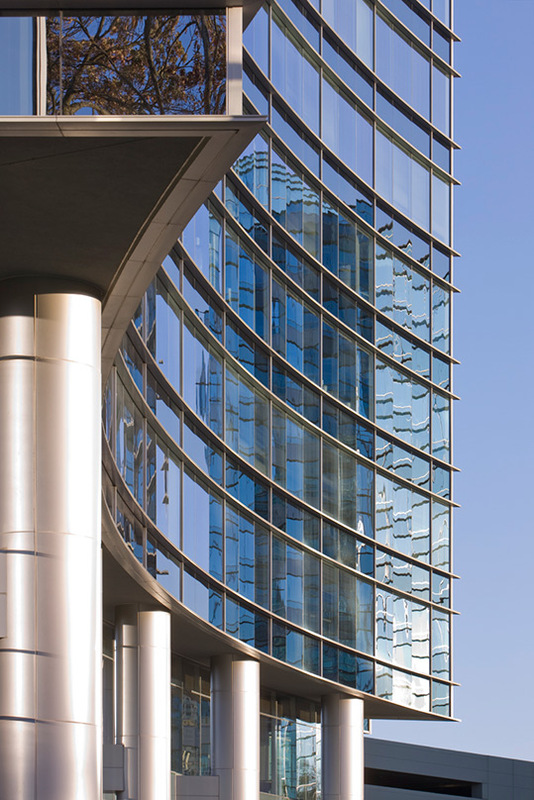 Photo © Jonathan Hillyer Photography, Inc. 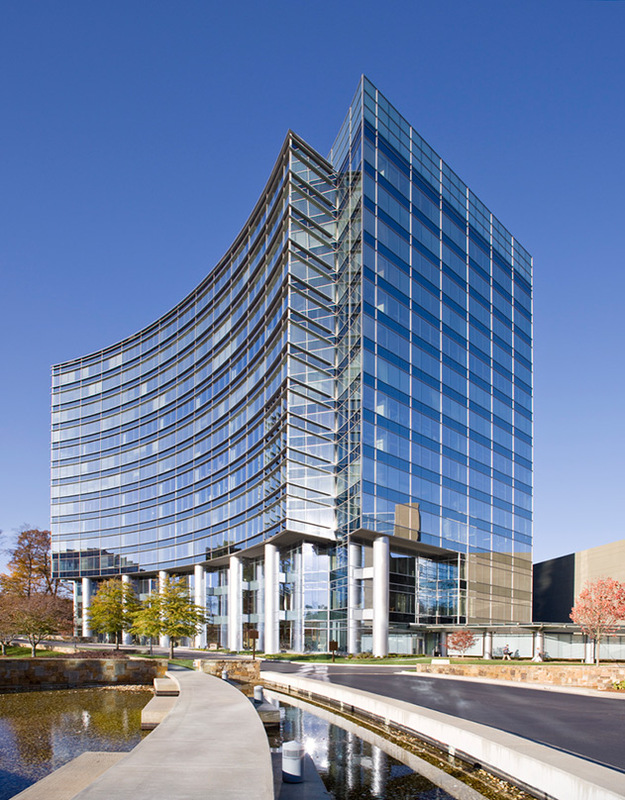 The headquarters for Newell Rubbermaid, the global marketer of consumer and commercial products, unites in a single location all of Newell Rubbermaid’s Atlanta offices. 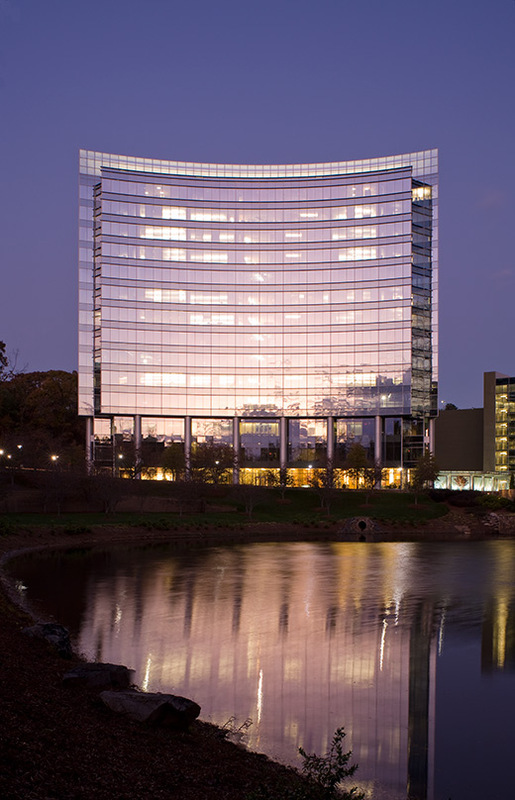 The building features a curvilinear glass curtainwall that reflects its park-like setting and the two-acre pond it overlooks. 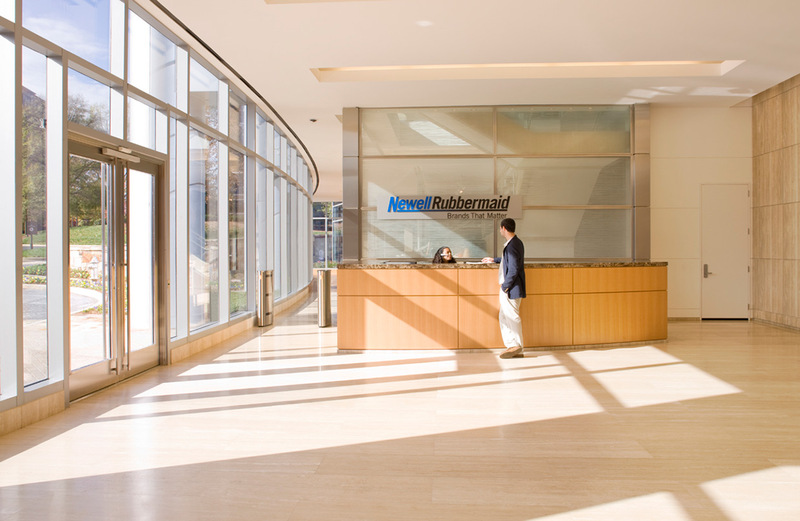 Newell Rubbermaid relies on the design of their headquarters to present and enhance a corporate culture that attracts and retains top-notch talent. 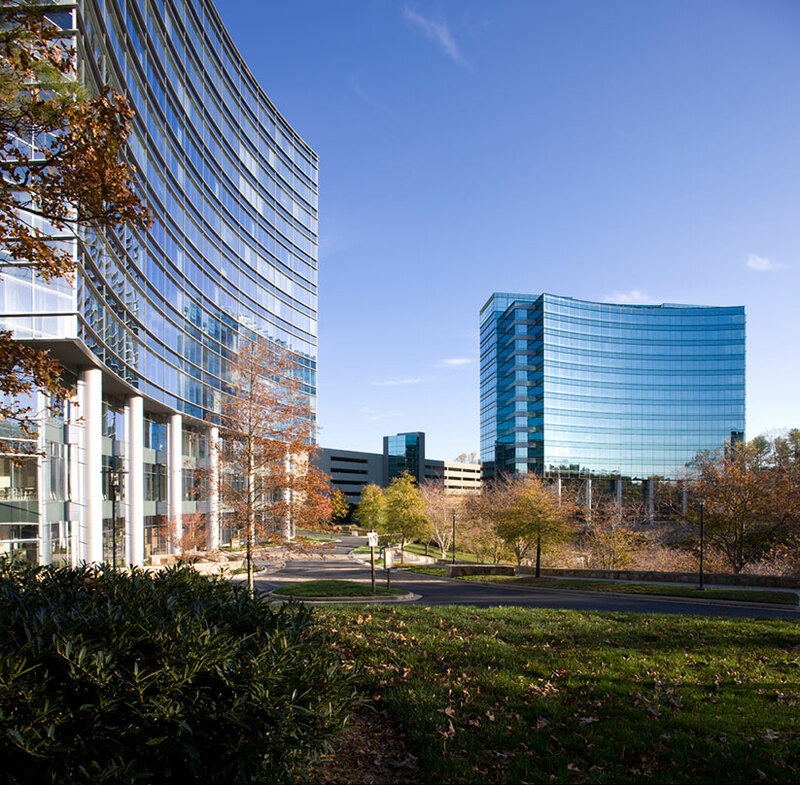 To support this corporate interest, the new headquarters offers numerous amenities and conveniences including a training center, cafeteria, communications center, and a spacious car parking deck. 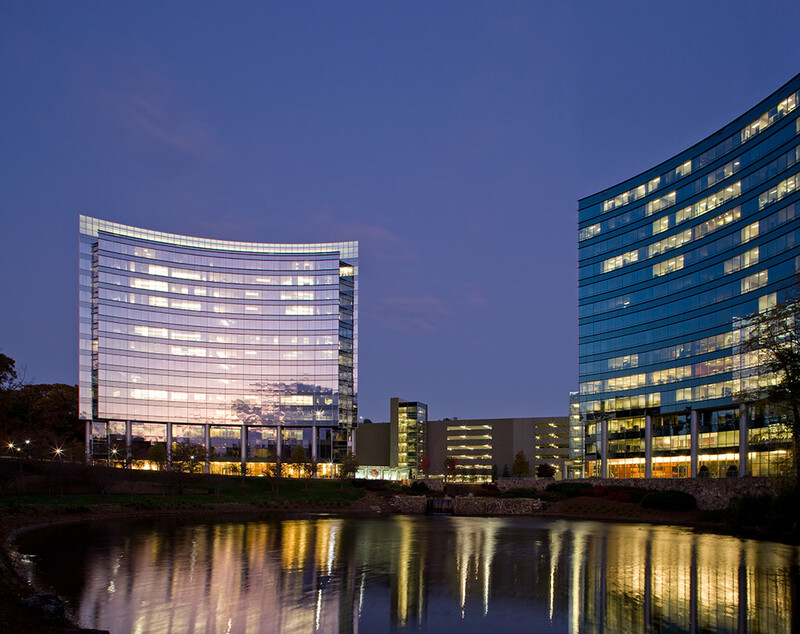 The Newell Rubbermaid Headquarters was the first building in the state of Georgia and the Southeastern United States to be recognized for achievements in sustainable design using the Green Globes rating system.